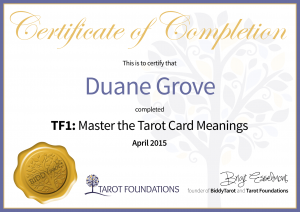 My name is Duane Grove, the Curious Sage. I formed Connect2Action because I believe there is a gap between spiritual guidance, wisdom, resilient living, and the tools and support to take charge of your life. Living a resilient life means being able to weather the storms and bounce back more easily and quickly. Being aware of your highest purpose is only the first step – taking action is the key to becoming truly authentic, fully alive, and living to your highest potential. Living a heart-focused life enables you to live into your purpose each and every day. I am passionate about the transformative power of human connection. It has been the wisdom and insight of others who have encouraged and supported me that helps me step into my own path and continue to stay connected on my journey. I have found a deeper connection to my own spiritual truth is stronger when I have others to assist me. The tools to authentically examine my own truth are only effective when I put them into action in a way true to who I am through my connection with others. 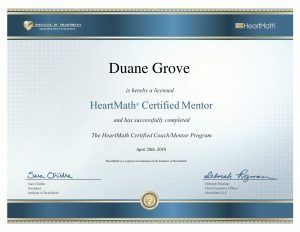 After years of study and professional development, I have used a combination of coaching and spiritual guidance tools that are easily tailored to each person’s unique needs. 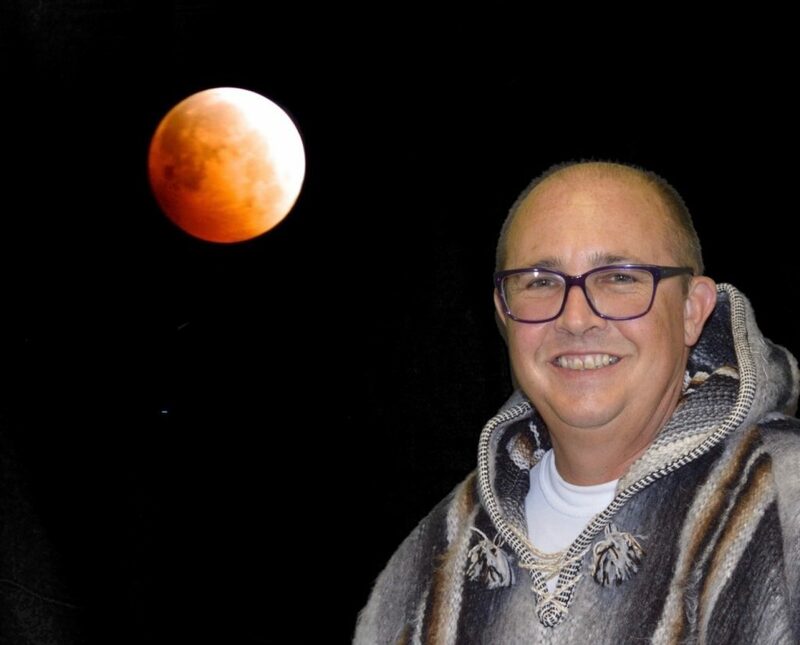 I use a blend of spiritual tools based on your specific situation to offer insight focused on assisting you in your life’s journey and search for deeper connection and meaning. My approach is to bring insight that helps you take action and to step into your highest purpose. My approach is to help bridge the gap between knowledge and wisdom, and the concrete steps to help others manifest their own greatness. 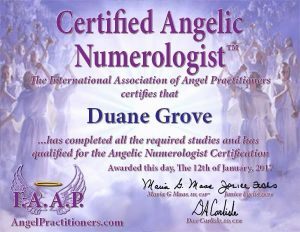 Building upon a career as an aerospace engineer and strategy executive, my approach is both spiritual and scientific. Many often wonder how someone with an engineering background and years in corporate America found his way to embrace a path of spiritual guidance and life purpose work. I believe what makes me unique is the engineering and corporate experience that enables me to offer a fusion of the divine with disciplined action. Together, I help others create connections guiding you to take practical action focused on establishing a deeper sense of life purpose and fulfillment. Building personal resilience is literally and figuratively at the heart of everything. We all know when our energy has been drained and the battery is running low. The HeartMath® tools are designed to build your personal resilience by building energy reserves through heart-focused tools and methods. These powerful and transformative tools will help you in your daily life as well as build stronger spiritual connections that help you walk the path of your higher purpose. I have been reading professionally for several years. 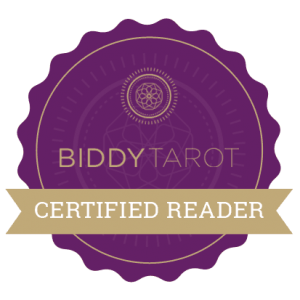 I have completed numerous courses including advanced work with Biddy Tarot. The link below is from a Biddy Tarot Podcast where Brigit asks me to share my experience as a reader. Your browser does not support the Audio element, please use the link below. 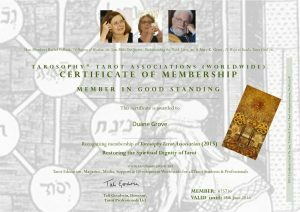 In order to stay current with new and powerful tools in a Tarot reading, I am a member of Good Standing Tarosophy Tarot Association. 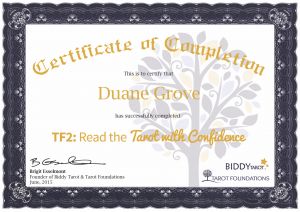 This association consists of readers from around the world who share their latest tools and techniques to improve the quality and energy from their own Tarot work. 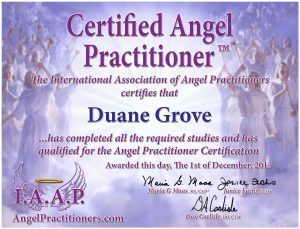 Connecting with the angels is a very powerful way of gaining direct guidance from the divine. 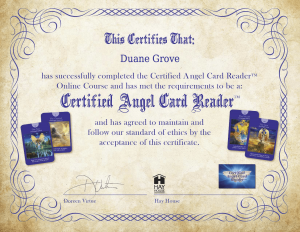 In addition to the IAAP work, I completed certification as an Angel Card Reader (CACR) through Doreen Virtue. Trained as a Reiki master by Lisa Guyman (www.lisaguyman.com), I am also a member of the Reiki Healing Association, allowing me to help my clients find renewed energy and assist in identifying and addressing energy blocks using this ancient Japanese technique.